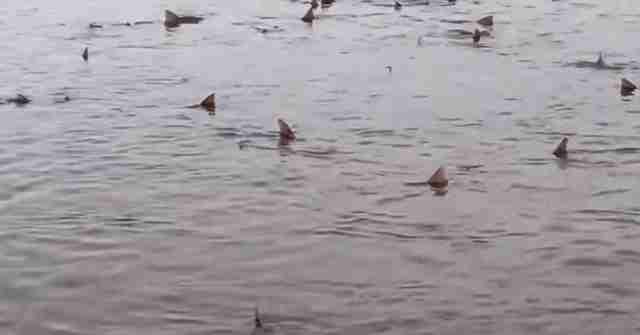 All together now: 50 sharks were recently spotted in shallow coastal waters in Sussex, England. The footage was captured by a local wildlife warden, Peter Hughes. The sharks are smooth hound sharks and grow to approximately 5 feet in length. Hughes said the scene was remarkable. "It was astonishing. There were just these huge fish everywhere in knee-deep water," he told the local newspaper, Chichester Observer. Hughes said the sharks were likely feeding on the crabs and other marine life in the intertidal waters. 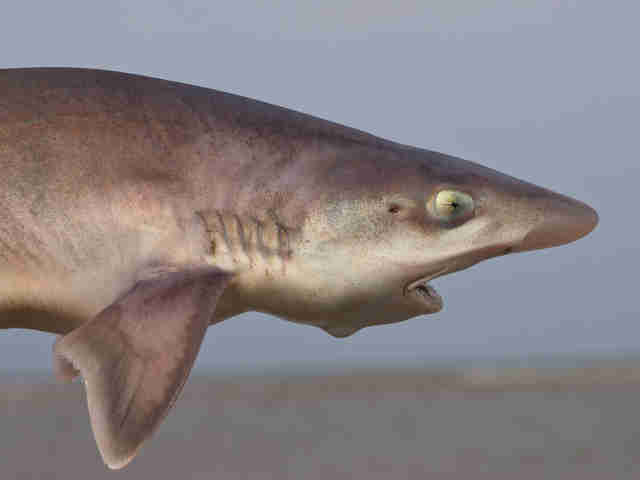 James Sulikowski, professor of marine science at the University of New England in Maine, surmises that the sharks are actually starry smooth hound sharks - and the scene is not unusual. "It's typically found in really shallow water up to about 100 meters," he told The Dodo. 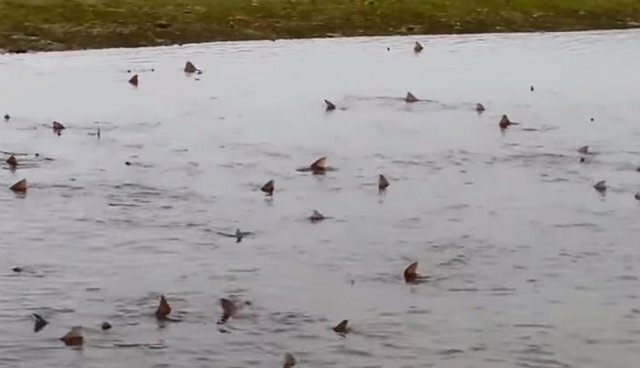 "The starry smooth hound will aggregate in large numbers, typically to feed, so seeing large numbers of this shark species close to shore is completely normal." "Unlike most sharks," he explains, "the starry smooth hound eats crustaceans instead of fish." And instead of humans. Since their teeth are made for crushing prey, not tearing flesh, "even 100 of them pose no threats to humans," Sulikowski says. Another warden in Sussex, acknowledging that it is beach time in the area, echoed that message. "There is a swimming beach nearby," he said, according to UK's Mirror. "But there is no threat to people at all."